A tattoo is defined as a drawing or indelible pigment added to the skin to form a drawing, symbols or patterns. Tattoos are often indelible and long lasting hence before getting one, you should be ready to have it for a longer period of time. Lion tattoos are common in the developing world, mainly due to the symbolism the king of the jungle represents. Most celebrities including Ed Sheeran, have had lion tattoos on their bodies. There are different reasons why people get lion tattoos. On the brighter side, one may get tattooed to identify themselves with a given group, to remember loved ones, for increased beauty and for profits as models and other gains. On the darker side, a tattoo may be used by gangs and drug cartels as an identification mark. Tattoos are also used to cover scars in the body. Lion tattoos represent different meaning for different countries and kingdom, all of which are signs of power. 1. Leadership – lions are known as the king of the jungle and have power since they are feared by all other animals. In most communities, therefore, lions are used as a sign of leadership since they are the leaders of the jungle. 2. Loyalty – lions are loyal to their families (prides) and to other animals that are loyal to them. It’s therefore not a bad idea to represent one’s loyalty with a lion tattoo. 4. Confidence – if you’d like to be viewed as a confident individual, then maybe a lion tattoo is what you need. Being the ferocious king, lions display confidence and attacks almost all animals without fear, even the ones whose body sizes are larger than theirs. 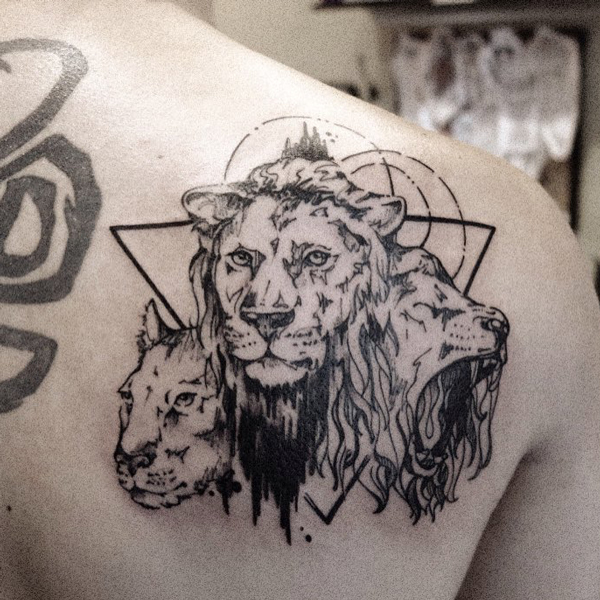 The following are different types of lion tattoos and why people get them or like them. 1. Tribal tattoo – this is the most common lion tattoo since the early 90’s. It’s liked by many due to its beauty and is mainly in terms of lion head as opposed to a full lion body tattoo. 2. Leo – the horoscope sign of Leo is a lion, hence most people use it as to represent their horoscope. Most people use it as a combination of a lion and sun. 3. Lions head – a lion head tattoo is a tattoo that has the head alone and no body. They are liked by many people due to their sign of strength and survival. They are mainly accompanied by a crown. 4. Chinese lion (Fu lions or lions of Buddha) – they are deeply incorporated into the Chinese culture and they are loved due to their presentation of a sign of protection. 5. Rampant lion – this is mainly found on flags, example Belgium flag or that of Scotland. They are loved mainly due to their patriotism and loyalty presentation. 6. The lion of Judah – its a multicolored lion whose image is drawn from the Bible. It’s mainly loved and used by Christians and Rastafarians. For Christians, it’s a symbol of power while the Rastafarians use it as a sign of the Haile Selassie reincarnation. 7. Lioness – this is the female lion tattoo and is mostly seen on ladies. It’s loved by women since it shows strength and independence. It can also be viewed as a sign of bravery among women. 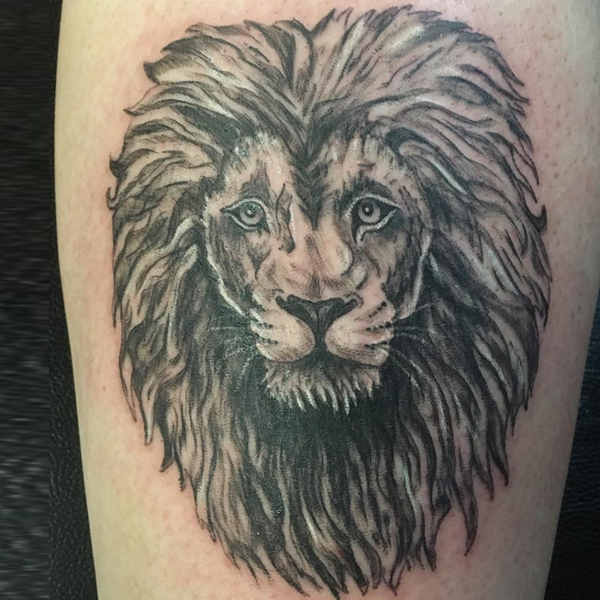 It’s clear that regardless of the design chosen or the importance intended, lion tattoos are of utmost importance and they often give a positive statement. One should however be careful to ensure they get the lion tattoos intended as the variation in some tattoos is large and change the intended message.